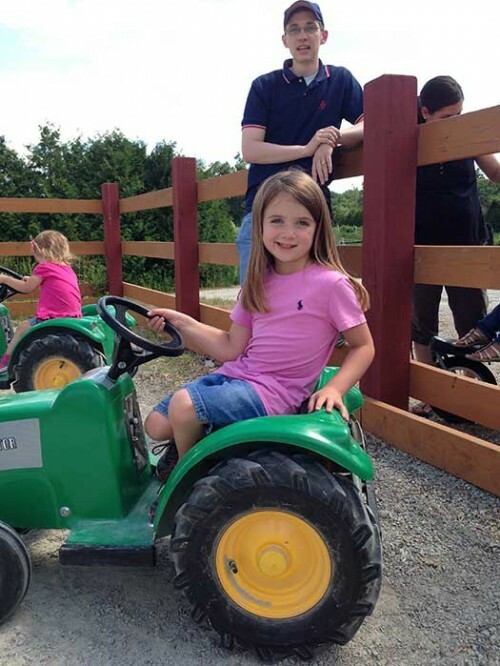 For our young farmer’s between 42″-55″ in height, this children’s tractor ride in Tyngsboro MA gives our young visitors a chance to be like Farmer Mark! The children drive these heavy duty electric tractors around the track while Mom & Dad wait outside. Our young farmer’s feel very grown up! A spin around Farmer Mark’s Tractor Training Course can also be part of the School Tour package. The hours for Farmer Mark’s can vary depending on weather and picking conditions, so please check Today’s Farm News for operating hours for the day. Thank you!